Malware Defender is a HIPS (Host Intrusion Prevention System) with firewall. It is effective to protect your computer system from all forms of malware (viruses, worms, Trojans, adware, spyware, keyloggers, rootkits, etc.). Malware Defender is also an advanced rootkit detector. 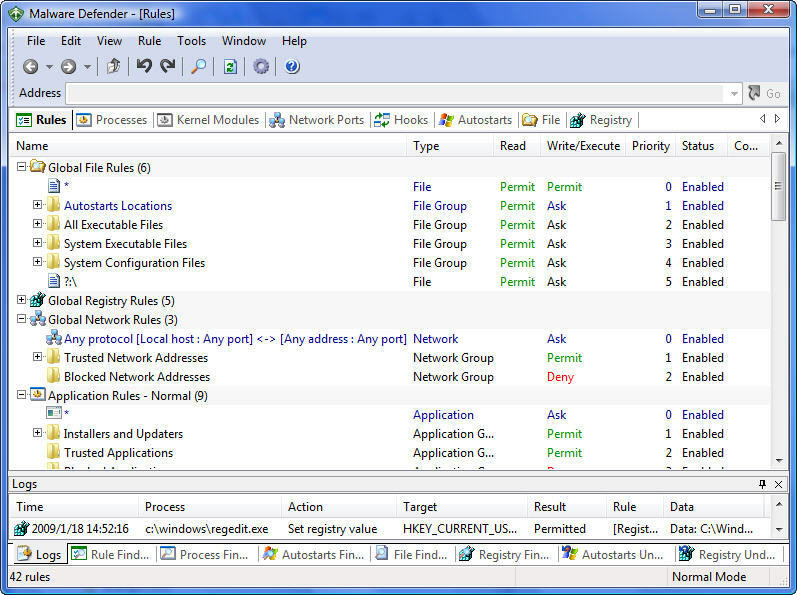 It provides many useful tools that can be used to detect and remove already installed malware.